Partypoker recently announced that it will host a special partypoker MILLIONS in 2018 which will have a guaranteed $20 million prize pool. This is significant because this will be one of the biggest online poker prize pool in the history of partypoker. The online poker operator has made a number of changes in 2017 that has helped the company become a major force once again in the online poker industry. Partypoker recently concluded its partypoker MILLIONS Online event in December and was very happy with the response. The online poker operator wanted to make sure that its 2018 edition of partypoker MILLIONS would be bigger and better than the 2017 edition and has confirmed that a whopping $20 million will be up for grabs. What Happened to the Recent Partypoker MILLIONS Online Event? The recent partypoker MILLIONS Online event became a huge success after it surpassed the original $5 million guarantee after the 1,047 entrants ended up generating more than that, reaching a total of $5.135 million for the contest’s prize pool. Jonathan Van Fleet, also known by the alias of “sordykrd”, ended up winning the inaugural MILLIONS Online and took home $1.027 million. The sequel to the MILLIONS Online contest will take place from December 1 to 4, 2018. 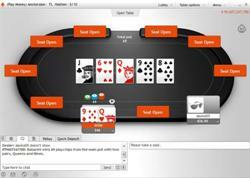 Partypoker decided to quadruple the prize pool that was offered in the inaugural contest. The event is expected to attract poker players from all over the world and partypoker expects its player registrations to be much higher than the 2017 edition. There are two paths for partypoker players to win a free seat on the MILLIONS Online 2018. Before we look at the two paths, we must also point out that there will be many feeder tournaments and satellites planned throughout 2018 that will also allow players to get a crack at the Millions event planned in December. Beginning on February 5, the online poker room will have a weekly MILLIONS Online Leaderboard. Every week, the top 10 winners will be awarded entrance to the $5,300 buy-in event. Partypoker plans to give away around $3 million through this promo, which should also have mid-leaderboards and low-leaderboards that’ll give out $530, $109, and $22 satellite tickets to players who reach the top 20.
partypoker will also reward the top 10 best players in every LIVE MILLIONS Main Event with $53,000 in value or 10 seats to the MILLIONS Online event. This promotion commences at LIVE MILLIONS Germany which runs from February 10 to 18, 2018. The tournament will take place at the popular King’s Casino in Rozvadov, Czech Republic. Partypoker has made it a priority to listen carefully to player feedback and then make changes based on player preferences to both its live poker and online poker offerings. The online poker operator was thrilled to hear that partypoker MILLIONS in December was considered very player friendly and the company decided to make the 2018 edition bigger and better for its players. This entry was posted on Sunday, December 24th, 2017 at 11:51 pm and is filed under Poker Promotions. You can follow any responses to this entry through the RSS 2.0 feed. Responses are currently closed, but you can trackback from your own site.